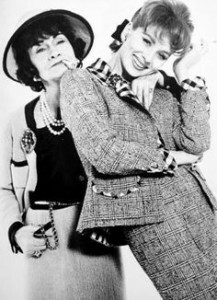 If there is one quote that almost perfectly sums up the life and career of Gabrielle Coco Chanel it is one of her very own: “In order to be irreplaceable, one must always be different.” During her long career, Coco Chanel was anything but status quo—she was constantly questioning traditions and boundaries, introducing new staples into women’s wardrobes, and really thinking about how different fashions would look on different women and in different situations. Born in 1883 in France, Chanel’s mother died when she was young. Her father was unable to care for Chanel or her 4 siblings, so the children were separated. Chanel was raised in an orphanage at Aubazine, where she first learned to sew. When she turned 18 and left the orphanage, Chanel began working for a local tailor. During a brief stint as a cabaret singer, Chanel earned the nickname “Coco,” a name that reportedly came from one of the songs she used to frequently sing. By 1910 she had opened her first shop in Paris, although at that time she was a milliner and in the hat business. Just 3 years later she opened a clothing shop in Deauville, introducing a collection of jersey sportswear that proved not only to be popular, but revolutionary. Such material (a machine-made knit) had traditionally been used in undergarments and extremely casual and specific clothing—like beachwear—and the relaxed silhouette and comfort the material provided women was in stark contrast to the stiff corseted look of the time. The introduction of this material into high fashion worked because of the shortage of luxury materials caused by World War I, and the general underlying desire for simpler and more practical clothing for women. 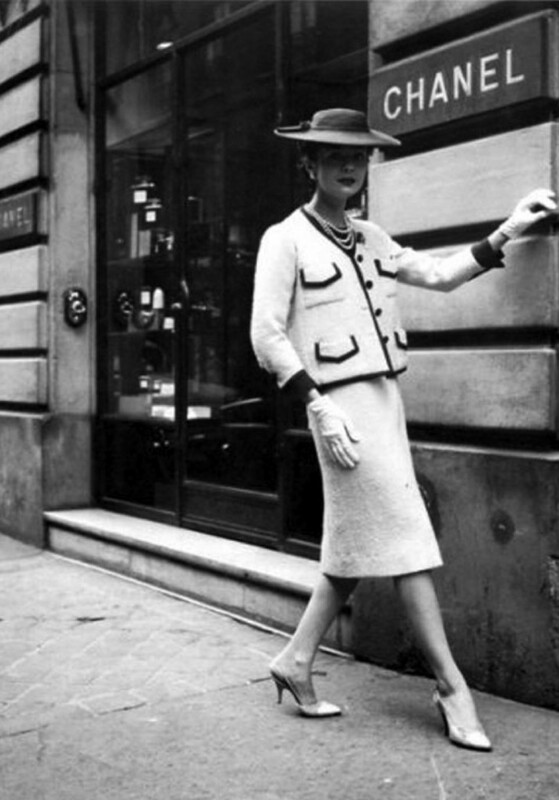 Coco Chanel’s first couture house was opened in Biarritz in 1915. By the 1920s Chanel had launched the world-famous perfume Chanel No. 5 (the first scent to carry a designer’s name on it), and in the middle of the decade introduced both her signature cardigan jacket and what would become the staple of every woman’s closet—the little black dress. Chanel was the first to use a color that was associated with death and mourning and transform it into chic evening wear. Since then she introduced the world to other favorites—elaborate, often oversized costume jewelry, luxurious handbags, two-piece tweed suits that flattered everyone. Chanel’s suits were made for comfort and practicality—the jacket itself was lined with a chain at the hemline to give the piece weight so it would hang just so. 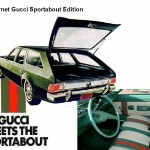 Her handbags were recognizable from their design and branding, constructed of high-quality materials. The jewelry was often elaborate, with her signature interlocking C logo, and encompassed a variety of different materials. 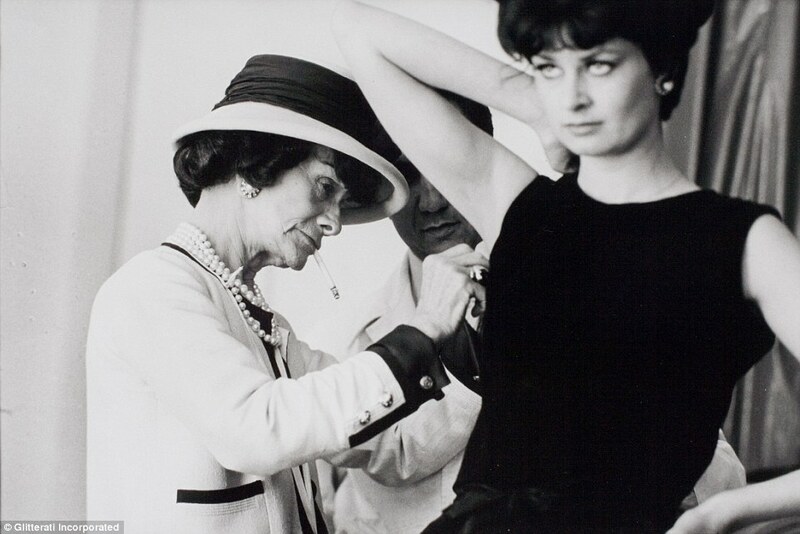 Coco Chanel works on tailoring a piece on a model in 1962. Image courtesy of Daily Mail UK. The outbreak of World War II forced Coco Chanel to close her business. She lived for a time in Germany and then Switzerland before returning both to France and to the fashion world again in 1954 at the age of 70. The collection that marked her re-entry to the fashion world was initially met with criticism, but eventually Chanel won over customers internationally and her designs firmly re-established itself as one of the world’s top fashion houses. 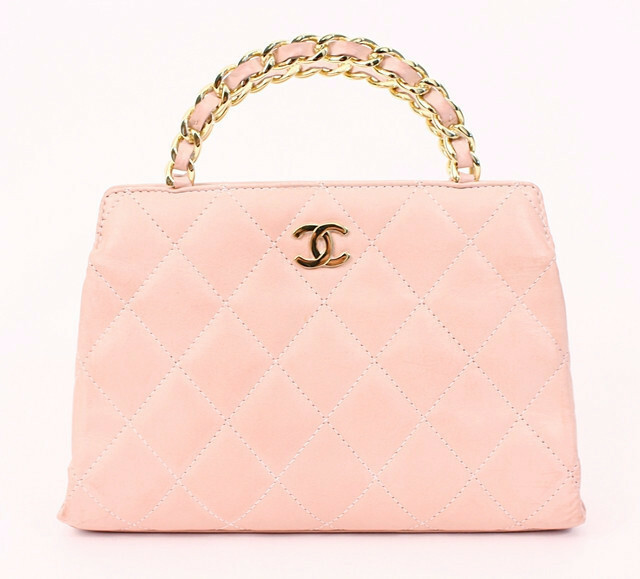 Chanel pink top-handled bag from the Rice and Beans website. 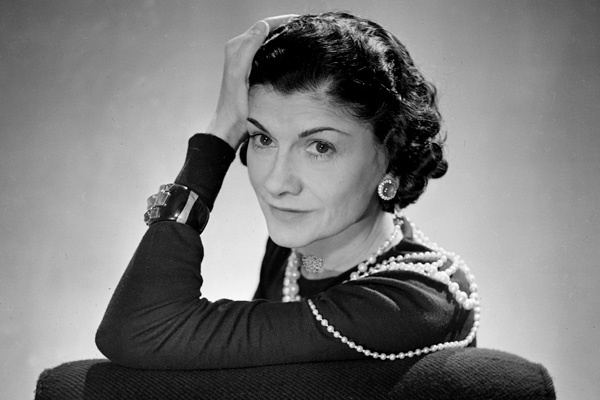 Coco Chanel died in 1971 at the age of 87, still working for her company and preparing the spring catalog. Today the house of Chanel is under the creative directorship of Karl Lagerfeld who continually garners the respect of the fashion world with the designs he sends down the runway and is as instantly recognizable as the Chanel brand itself. 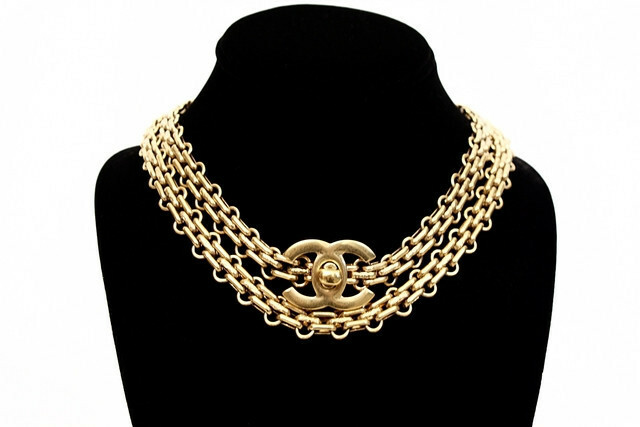 Vintage Chanel turnlock necklace/belt from Rice and Beans Vintage. The magic of Chanel lies in several ideas: first, the desire to add grace, elegance, and style to women’s wardrobes by really understanding how the clothing would lie and how women would move in it. Chanel used live models for many of her designs, asking them to sit down and stand up, as if getting out of a car, or step up as if stepping onto a bus in an effort to see how the clothing responded and what improvements needed to be made where. Second, Chanel understood that fashion requires flair and daring. 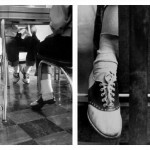 She was unafraid to step outside of what was considered the norm and that difference made her—in a word—irreplaceable. 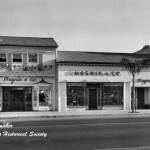 Shop Vintage Chanel at Rice and Beans Vintage.